Going green? 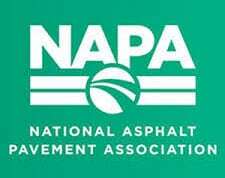 Put asphalt on your list! It’s true. Asphalt is not only environmentally friendly, it’s THE sustainable material for paving. From paving material production, road pavement placement, and recycling, asphalt pavements minimize environmental impact. 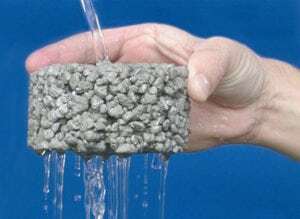 Why is porous asphalt pavement also environmentally friendly? It allows water to flow through it and into the stone bed beneath it, instead of shedding it. This reduces water runoff and naturally returns water to the water table. If there are any toxins on the surface, they are swept away with the rainfall down into the stone bed. From there, toxins travel to the sub-base and are subject to Mother Nature’s processes that clean water. However, the size and depth of the stone bed must be designed so that water never rises to meet the asphalt. That’s why you want the skilled services of B & S Contracting. As asphalt paving experts, we will ensure that your driveway drains properly. Read on to learn more. Lasting up to 20 years before showing potholes or cracks, porous pavement is a very durable product, retaining the ability to handle rainwater for years and years. 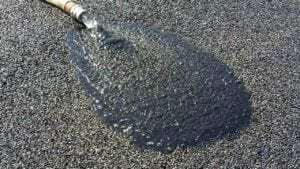 Used in parking lots, walkways, high volume highways, and playgrounds, porous asphalt can also be used for residential driveways, and it can be used in place of retention ponds. That’s because porous pavement reduces the volume of runoff that impervious surfaces like parking lots, sidewalks, and roads, produce. Recycled materials play a big role at B & S Contracting. We recycle what is known as RAP, reclaimed asphalt pavement. These are materials that were generated when asphalt pavements were removed for resurfacing, reconstruction, or to get access to buried utilities. By recycling RAP into base materials and new asphalt pavements, B & S Contracting ensures that these materials don’t end up polluting our landfills. Whether you choose full-depth asphalt or porous asphalt for your project, both are Mother Nature-friendly and give beautiful results! For environmentally friendly custom asphalt solutions, call on experience. Call B & S Contracting. 540-886-8886.